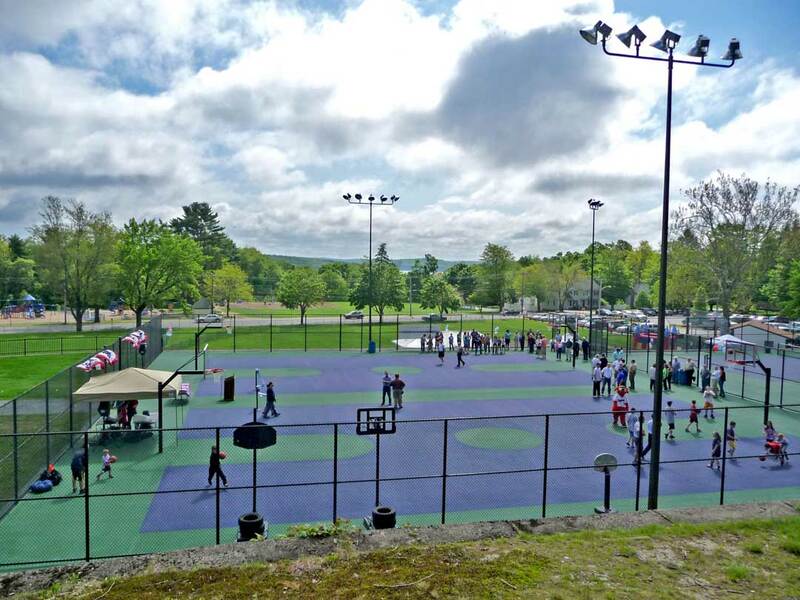 Goodale Park is a major renovation project to the existing basketball and tennis courts in a large athletic park adjacent to West Boylston Middle/High School. 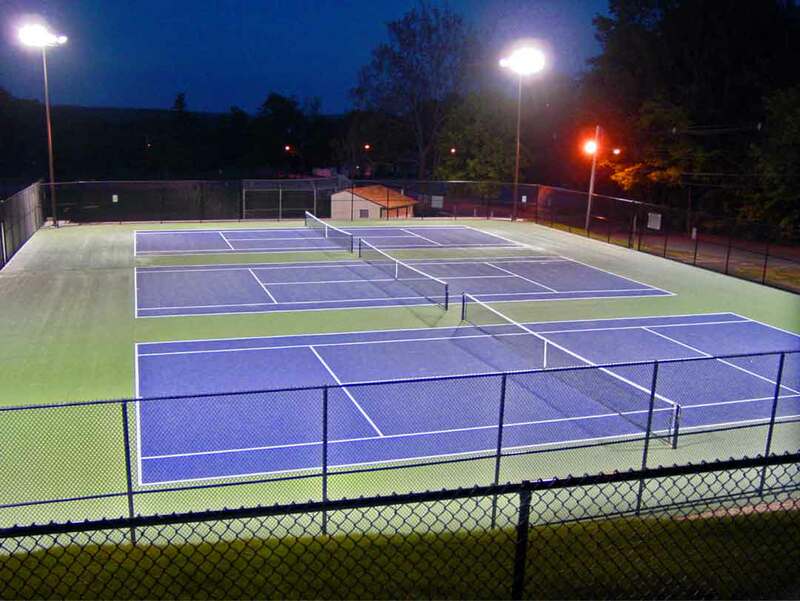 Situated on a sloping site, the existing courts suffered major erosion problems and had fallen into disrepair. 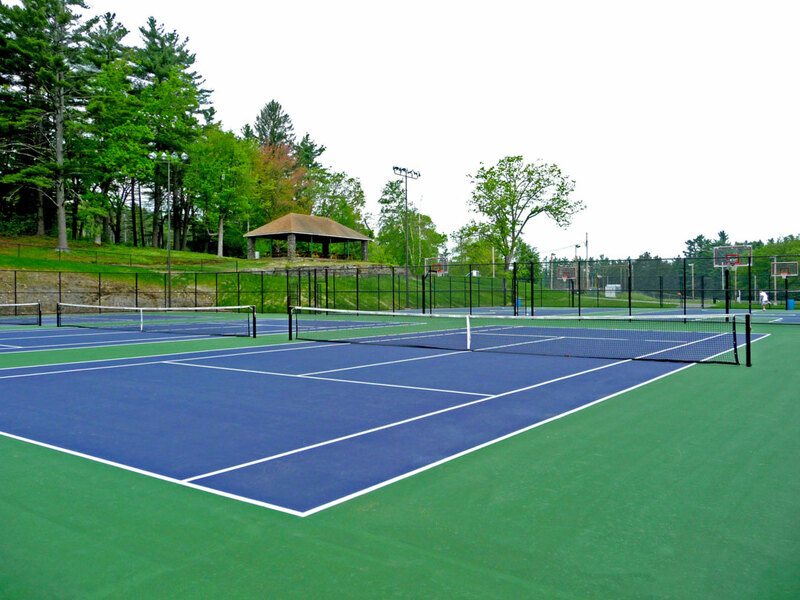 Warner Larson designed the project to mitigate erosion issues and expand the existing court areas. 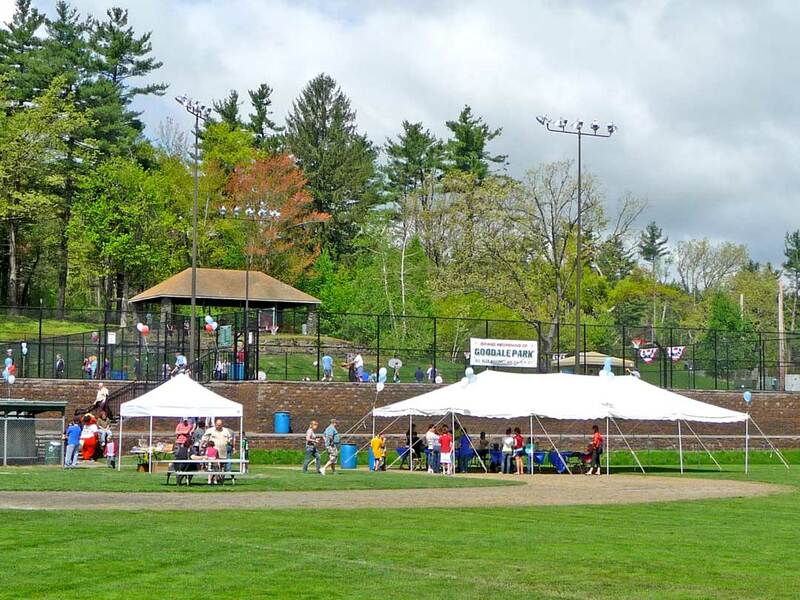 In addition to the significant grade change, there were several site constraints that needed to be considered during the design process; including a picnic shelter and mature vegetation located above the courts, and a little league field and concession stand located below. The existing slope adjacent to the courts was excavated to expose rock ledge. This excavation provided room for court expansion, and also created a stable slope resistant to erosion. A series of terraces were also created using retaining walls. These terraces limit the potential for erosion and protect existing site amenities. A plaza of memorial pavers honors local residents and donors who contributed money to the renovation.